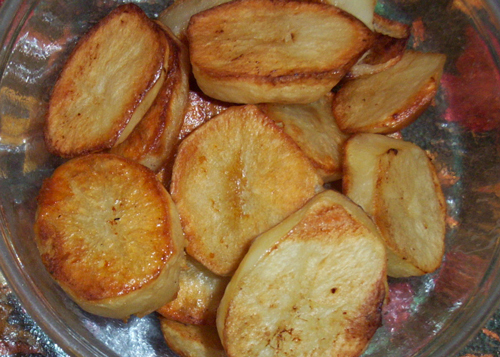 When I was growing up, one of the most common side dishes we had, and perhaps the most popular, was roast potatoes. These potatoes roasted right in the pan with the meat or poultry, picking up great flavor from the drippings of the roast. They were crisp and caramelized on the outside, soft and tender on the inside, and absolutely delicious. And they went perfectly with the roast that flavored them. Now, we usually make these potatoes whenever we have a roast, which is often, and we never tire of them. I thought for many years that just about all cooks made them. I was greatly surprised to learn recently that many people have never even tasted these potatoes, which have been such a welcome and common presence at our table for so many years. I think this is due in part to the demonization of fat, since these potatoes must be cooked and flavored with fat. Nevertheless, this side dish is so easy and so delicious that I would like to share my recipe, including a secret tip from my mother, with those who are interested in making them. First, you need a roast. This can be any kind of beef, lamb, or pork roast. A turkey or a chicken also works. But ducks and geese give off too much fat for this method. A beef, lamb, or pork roast should have a nice fat cap. If the meat does not have a decent fat cap, you can cover it with butter, or beef tallow, or lard, or duck fat, or goose fat. The turkey or chicken must have the skin on, and should be also coated with butter or some kind good natural fat. 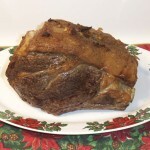 The roast is cooked without a rack, placed fat side up in the case of meat, or breast side up in the case of poultry. You can place it on some vegetables, such as onion circles, which I often do, or directly on the pan. This recipe cannot work if a rack is used. The potatoes I use are usually russet, though Yukon gold potatoes also work very well. I only use organic potatoes, as I try to avoid pesticides, and the flavor is much better. The potatoes are peeled, and sliced into circles about one half inch thick. My mother’s secret, which I have also found in some very old cookbooks, is to place the peeled and sliced potatoes into a pan, cover them with water, add a little salt, and bring them to a rolling boil. They are then boiled for five minutes, no more, no less, then drained. This secret might not sound like much, but it makes a huge difference. A large roasting pan, not aluminum or non stick, is well greased with oil or butter, or lard, or any good animal fat. The roast is placed in the center of the pan. No rack is used. The potatoes are placed all around the roast, in the empty spaces. There is a great temptation to cram as many potato slices into the pan as possible, but the potatoes will be better if there is a little space between them, so they are not touching. I keep this space as small as possible. The roast is cooked according to its recipe, and the potatoes are turned over once, when the roast has cooked for half the estimated cooking time. 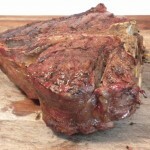 The roast is basted with the drippings at least once, and preferably two or three times. This will add great flavor to the roast and the potatoes. The potatoes are ready when the roast is, and should come out crusty but not hard or burned, and wonderfully soft inside, with an incredible caramelized flavor from the drippings and the spices used with the roast. These potatoes are particularly wonderful with a prime rib beef roast, as there is a flavor that only prime rib has that gives them a special, wonderful taste. But they are also wonderful with other roasts. This is a very old and traditional way to eat potatoes, and one I never tire of. 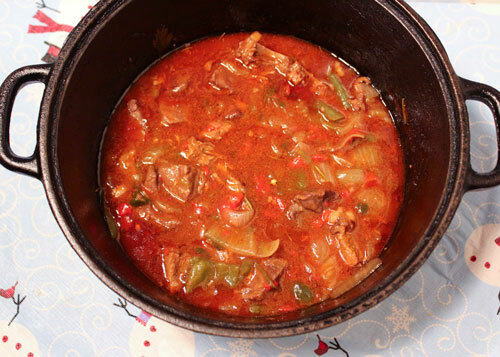 A traditional winter stew of grassfed meat and organic vegetables tastes wonderful. Many people believe that good cooking is a mystery, one that can only be solved by celebrity chefs using arcane ingredients and complex methods. These TV chefs often use new methods and combinations that have been invented by the chefs, who gets praised for their innovation. High-tech modern products like meat glue are often used by such chefs. I believe that simple recipes, using real food such as grassfed meat and organic traditional vegetables, using traditional food combinations, and traditional methods, prepared by ordinary people, taste the best. I believe that cooking should be easy, not complex and difficult. I am inspired by the quality and benefits of grassfed meat and real food, with their wonderful natural flavors. I am inspired by the ingenious simplicity of traditional cooking, which often uses just a few ingredients, simply combined and prepared, to produce outstanding, healthy food. These flavor combinations became traditional because they are really good. Many of these traditions are being lost, and I am honored to help preserve some of them in my cookbooks. I contend that the best grassfed meat and real food is simple, using traditional methods, traditional ingredients, and easy recipes. When you have great ingredients, their wonderful natural taste should come out. When I wrote my two cookbooks, Tender Grassfed Meat and Tender Grassfed Barbecue, I had several goals. One of the most important was to make them simple, and easy to use. Another goal was to provide recipes that were absolutely delicious. A third goal was to create recipes that people would actually make. These three goals are not contradictory, if you are using grassfed meat and real food. The quality of these foods from nature is so high that the food itself provides most of the flavor. In fact, I contend that grassfed meat and real food are the best when prepared simply with traditional methods and ingredients. You can have a wonderful dish with just a few ingredients, if they are of the highest quality, and carefully combined. When you use only a few ingredients, all are important and changing even one of them can have a dramatic effect on the taste of the dish. Real food ingredients have so much natural flavor and goodness that they are at their best when made simply, so that their wonderful natural flavor can come out. Then, there is the simple fact that complex recipes, with dozens of ingredients, and difficult, complex techniques, are much harder and take much more effort and time to make. Often complex recipes fail, for any of a number of reasons. Usually, complex recipes are read, admired, and never made. I want my cooking to be easy and simple, and delicious. I wrote these books for the ordinary person, because I wanted them to have ways to cook tender grassfed meat that were not only delicious, but easy. I wanted my recipes to be used, and enjoyed. I did not write these books for critical acclaim, but to help people make delicious grassfed meat, the easy way. In fact, I admit it, I prefer to make easy meals! It is not only easier, it is more fun! 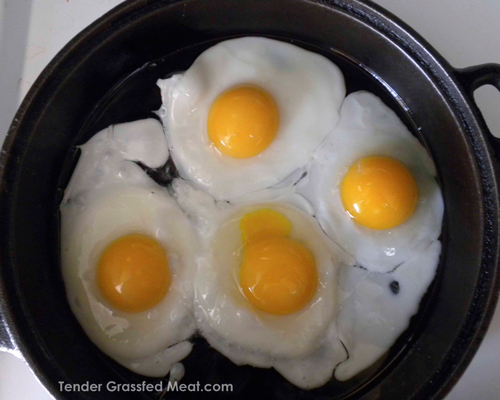 These pastured eggs with their deep orange yolks are a wonderful example of real food. A debate between two nineteenth century French researchers ended up creating the core belief of the modern medical system. Nearly everyone has heard of Louis Pasteur, but very few have heard of Claude Bernard. Modern medicine is built on the germ theory proposed by Pasteur. Yet there is mounting evidence that Bernard, who had a different theory, was correct. In fact, Pasteur was reported to have blurted out the words “Bernard is right!” shortly before he died. The medical profession and mainstream scientific establishment claim that Pasteur never said this. Why is the controversy still important? Because the modern medical system, built on the Pasteur theory of germs being the cause of most disease, fails many people. Some of those people who found no help from conventional medicine turned to the Bernard theory without even knowing it, and restored their health. With one important addition—eating real food. I am one of those people, and I know many others. Most people are familiar with the germ theory of disease advocated by Pasteur. This theory claims that most illness is caused by germs, tiny organisms like bacteria and viruses. Since these organisms are the cause of illness, the way to cure illness is to kill the germs. This can aggressively be done through medication, sanitation, radiation, and other methods outside the natural defenses of the body. In fact, the symptoms of disease are attacked by outside interventions such as surgery, drugs, and radiation—all aimed at killing the organisms that are blamed for the disease. This approach, which is the cornerstone of modern medicine, often does great harm to the patient, and often fails to cure them. It can work, but it is common for the symptoms to return at a later date. The terrain is the body of the patient, and the natural functions of that body. Bernard taught that the body is full of bacteria, which are benign and helpful if the body is working properly. But if the body becomes weakened, or injured, or malnourished, some of these bacteria change and become dangerous, causing disease. To Pasteur, killing the pathogens through outside intervention was the way to heal. To Bernard, strengthening the “terrain,” the body, enabled the body to heal itself, creating a condition where the bad bacteria became benign and helpful again. We know that killing outside germs through basic hygiene helps prevent disease. Yet we also know that the body needs beneficial bacteria to live, and killing too many of these bacteria has bad effects on the body, and they are often replaced with harmful organisms. We know that antibiotics and other aggressive medical interventions can relieve symptoms, but they usually fail to treat the cause of the symptoms, which often return at a later date. Yet we also know that many people who have no medical intervention recover from every kind of illness, and often do not see the symptoms return. I have had many illnesses over most of my life. I have had a lot of medical treatment for various conditions. At first, the treatment relieved the symptoms. But my body became weaker from the prescription drugs and other treatments. After some time, the symptoms always returned, and I would need more treatment. Eventually, I reached a point where the medical interventions did not work. What saved me was an unwitting turn toward Bernard’s theory. I strengthened my body by switching to real food, and avoiding toxins. The real food and grassfed meat gave my body the nutrition it needed to function properly. As my terrain became stronger and stronger, I became healthier and healthier. I have not needed any medical intervention in over ten years. I do practice hygiene, which gives my body less to fight off, and I believe there is a proper place for medical intervention when it is truly needed. But the best path I have found for myself is to nourish my terrain by avoiding toxins, including dangerous bacteria, and eating real food only. That way, the natural functions of my body keep it healthy. Many of my friends in the real food movement have had a similar experience. photo credit: JustDerek The best food comes from a home kitchen. When I read older cookbooks about various cuisines, the author will say that the way to eat the best food is in someone’s home, where the really good food is cooked, not a restaurant. Now, restaurants are celebrated in many cookbooks. If I never ate in a restaurant again, that would be fine with me. I get much healthier food at home, and it tastes much better. This is a somewhat shocking statement in a nation where most adults do not know how to cook, and where more people are eating out than ever before. A nation where cookery is treated as a mystery understood only by celebrity chefs, and where the convenience of eating out and buying heat and serve meals has become a way of life. It was not always that way. It used to be that most families had at least one good cook, sometimes several, and people preferred to eat the good real food they had at home. Restaurants were for special occasions, and their food had to be really good or no one would go there. Unfortunately, that is no longer true. The best real food is cooked at home. I have a number of problems with most of today’s restaurants. First: Food quality, or rather the lack of it. Most restaurants use cheap, factory ingredients. Many chain restaurants and fast food places do no cooking other than heating prepackaged food in a microwave. The food is prepared in a central kitchen, frozen, and then shipped to the various locations where it is actually served. When cooking actually occurs in a restaurant, the worst factory oils such as soy and canola are commonly used. GMOs, CAFO meat, and factory produce are the standard, because they are much cheaper than real food. In the rare place where quality ingredients are actually used, the prices are extremely high, and the actual quality is often not as good as advertised. Second: Many people get sick after eating at restaurants, ranging from feeling stuffed and bloated to something serious. While poor quality food is a factor, often a lack of basic sanitation is the real culprit. If you want to see how bad it can get, just watch a couple of episodes of Ramsey’s Kitchen Nightmares. Third: Many restaurants, especially those who claim to have higher quality food, serve tiny portions of the choice ingredients, combined with larger portions of something cheap. The current practice of “plating,” where food is arranged to be “artistic,” is usually just an ingenious way to serve less food to the customers, saving costs. Quite frankly, I see nothing attractive about spots and swirls of sauce, and vast expanses of emptiness on a plate. Fourth: In most cases, wherever you go, the food is just not that tasty. Usually it is mediocre at best. The emphasis on profit and speed is not consistent with good meals. And most restaurants just cost too much, always more than you would think, once you add in the tax, tips, and drinks. Now, there are exceptions, restaurants that serve clean quality food, skillfully prepared, with decent portions. Most of these exceptions are extremely expensive, but there are a few that are reasonable. Good luck in finding them. When you learn to cook, you set yourself free. You are no longer dependent on restaurants or packaged meals, but can select grassfed meat and real food, and be certain that you and your family are eating high quality food, which our bodies so desperately need. You can keep a clean kitchen, and know that no one who eats your food will feel stuffed or sick from your cooking. You will also find that it is much less expensive to do your own cooking, especially if you shop wisely for quality ingredients. And here is another secret—most cooking is easy, once you have a little experience. In fact, quality ingredients such as grassfed meat and organic produce do not require much seasoning or skill to be absolutely delicious. My cookbooks, Tender Grassfed Meat and Tender Grassfed Barbecue, teach how to cook absolutely delicious grassfed meat—the easy way. 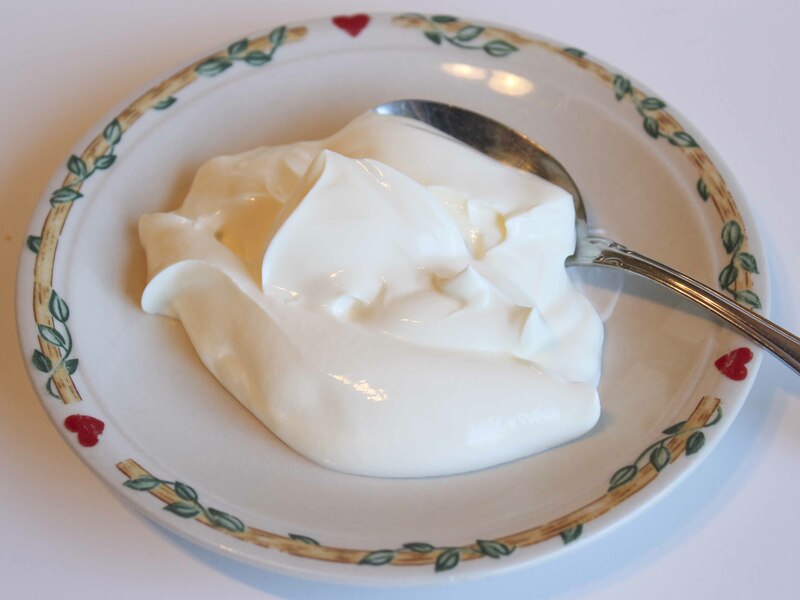 Organic Greek yogurt, a traditional food. Our ancestors did not reach for drugs or doctors when they had an injury. Instead, they tried to get the food that would enable their bodies to repair themselves. This seems primitive, in our modern age, which celebrates the wonders of medical science. Yet many of us have noticed that medical science is not always the best choice, due to its using drastic methods such as drugs, surgery, and radiation for even minor ailments. And most drugs only manage to relieve symptoms, while interfering with the natural processes of our body. I had a minor but annoying injury a few weeks ago. I had a choice, and I chose food. And it healed me. While fooling around, I got a split lip. It was not that bad, but it would not fully heal. There remained a split in the lip. If the lip got dry, especially at night, it would get quite painful. At other times, it was annoying. After two months, there was no change. I thought of going to a doctor, but the only thing they could do was give me stitches, or a drug. Having a needle going in and out of my lip had no appeal. Drugs scare the heck out of me, since they interfere with the natural functions or our bodies, and I would consider one only under serious circumstances. I began to look for natural remedies for a split lip that will not fully heal, and I found none. I saw some full-fat Greek yogurt in a store, made by my favorite dairy. This dairy has organic milk products, is extremely careful to make sure that its cows get no GMOs in their feed, pasteurizes their milk at the lowest temperature the law allows, does not vaccinate or drug their milk cows, and gives these cows wonderful treatment. In other words, it was my kind of dairy, and I have enjoyed their products for years. I had never had this kind of yogurt before. It was tangy, very thick and rich with good animal fat. Without understanding why, I placed some of this yogurt against the split in my lip, and held it there. It felt cooling and wonderful. Within seconds, the irritating sensation in the split went away. I did this for a few days, several times a day. I noticed that the split was smaller after the first day. After about three days, the split was gone, and the lip was healed. After several weeks, it has remained healed. I should say that I had never heard of this before. I think that the good fat and probiotics in this very special yogurt caused the healing, but I cannot prove it. And I do not know why I did it. Chris Kerston, of Chaffin Family Orchards, a chemical-free organic farm and ranch I admire, told me how his grassfed cattle would treat themselves by eating certain plants, which fixed them up. The cattle would select the plants themselves. I am just guessing, based on this experience, but I think our bodies have a wisdom and knowing that can often help us. I listened to my instincts when I held the yogurt against my split lip, and it healed. This story is anecdotal, unsupported by studies, is not a recommendation, is no substitute for the services of a medical professional, has not been reviewed or approved by the FDA, and is intended solely as a sharing of my experience. Have you ever wondered why the sight, smell, texture, and taste of food is so important to us? The answer is simple. Our bodies use these senses to decide what food should be eaten, what food should be avoided, to prepare the digestive system, and to tell us how much of a particular food to eat. That is right, how much to eat. Our bodies do not follow calorie counting charts, but use sensory input to decide what to eat and how much. Every person is different, and our dietary needs vary from day to day. Our bodies have a magnificent system already in place to guide us with certainty as to what and how much we need to eat. Most of our ancestors trusted and used this system, and obesity was very rare. But there is a problem in modern food that cripples our sensory food input—chemical flavor enhancers that are literally designed to fool and trick our senses, so our bodies think they are eating something they are not. These chemicals create the equivalent of hallucinations for our taste buds, and appetite regulation system. They are completely legal, and fool the natural system we have for regulating our appetite and desiring food. The only way to avoid them is to eat real food only, and avoid all factory foods. 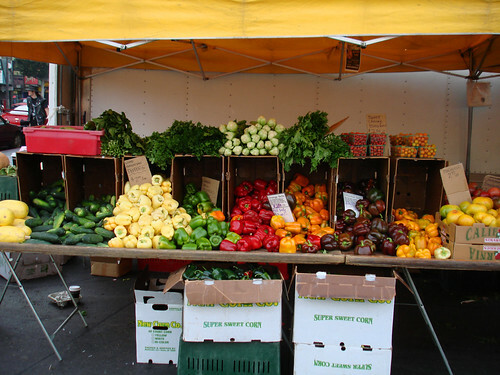 The food industry depends on foods raised as cheaply as possible, and demands that these foods have a long shelf life. The problem for the food industry is that the natural taste, sight, and smell of such foods is not very good, and people’s senses would reject them. The first factory foods that were introduced were almost completely rejected by the public, because their senses rejected them. The food industry turned to science, and science came up with chemical flavor enhancers, and chemicals that change the very appearance, taste, and smell of the food. These enhancers are designed to trick the senses into thinking that a food is much more desirable than it is, and some of them actually make people want to eat more of that food. These techniques fool the eyes by using chemicals to change the natural appearance of the food. One example is the use of carbon monoxide gas to make factory meat appear red, rather than brown or gray. This fools the eyes, which do not find brownish or grayish raw meat appealing. Other such techniques include putting chemical waxes on fruits, using gas to give a ripe appearance to fruits and vegetables, using chemical dyes in food, and others. The natural smell of factory food is often very bad. The food industry uses many different chemicals and processing techniques to remove the bad smells, and other chemicals to give a bland or enticing smell. This totally deceives our sense of smell. The natural taste of many factory foods is vile, and people will not eat food that tastes so bad. But chemicals are used in many products to hide the natural bad taste and add a good taste. Factory foods are often bleached and deodorized with chemicals, to kill the horrible smell and taste of items like unfermented soy. Chemical flavor enhancers are added to all kinds of foods. Scientists are able to use chemicals to add almost any desired taste to a particular food, and are constantly developing new artificial tastes. These chemicals not only make the food taste much better than it would naturally, but can fool our bodies into thinking they are eating something they are not. This confuses the digestive system and the appetite. Chemicals are also added to many factory foods that make people want to eat more of the food, just because of the chemical. This causes many people to overeat, and is believed to be a huge cause of the rampant obesity that plagues the modern world. By avoiding foods with chemicals, we set our senses free to do their job of regulating our diet. It may take a while, but I have found that my senses tell me what I want to eat, and how much. When I have eaten enough of a certain food, I am no longer hungry for it. When I stop eating, I am happy, content, satisfied, and never stuffed or uncomfortable. I have no digestive problems when I eat real food. I can trust my senses to tell me what to eat, and how much, because they are not fooled with chemicals. And my health has improved so much. As more and more people are giving up factory food for something real, the industry has come up with a sleazy, deceptive argument to get us back to buying their chemical-filled concoctions—guilt. If you try to avoid toxins, GMOs, chemicals, and try to eat the pure foods of our ancestors, you are a snob, and a bad person. This is absolute nonsense, and I have written a guest blog explaining why. Click here to read the rest of the article at Hartke Is Online! Normally, I do not do blogs about YouTube videos. But this video is different. It corrects some of the biggest false ideas most people have about eating. The message is clear, simple, and compelling. Modern eating makes us fat and sick. Traditional eating, eating the foods humanity ate before industrial food was invented, keeps us slim and healthy. Too much exercise wears us out, and does not make us lose weight. Eating high quality food is the way to go. Counting calories is a waste of time. Most diets are worthless. The basic, unmodified foods of nature are best. Sugary, starchy foods are the worst. The more natural, the better. Eat grassfed meat. And many other good ideas, clearly presented. This is all good advice, and totally contradicts the false precepts of the Standard American Diet (SAD), the diet that makes Americans the weakest, sickest, most crippled rich people in history. I have corresponded with Jonathan Bailor, the maker of the video. His goal is to spread awareness of his message so it can actually reach the mainstream. This is a magnificent goal, as the mainstream believes in SAD, diets, high-carb eating, factory food , calorie restriction, and exercising until they are worn out as the way to be healthy and slim. That sounds ridiculous even as I write it—but most Americans believe this nonsense. Many of you already know the truth about food, but we are a tiny minority. Ultimately, if we remain a tiny minority, the corporations and governments will make it impossible for anyone to get real food, including us. Knowing the truth about food will do us no good if we cannot get quality food. The best protection we can get is to have our knowledge go mainstream, and Jonathon has a plan to get there. Jonathon’s immediate goal is to get one million views of this video, as he believes that will get attention and engage the interest of many people. I do not know if he is right, but I hope he is. So I support his goal of one million views. Ultimately, it is vital that most people learn the truth about food, the sooner the better. If everyone knew the concepts on this video, and followed them, the health and understanding of most people would greatly improve. And that is a worthwhile goal, which is why I am asking you to consider viewing the video. If you like the video, please consider spreading news of it to the people you know, and inviting them to view it. The more people who understand the truth about food, the better our chances of being able to have real food in the future. 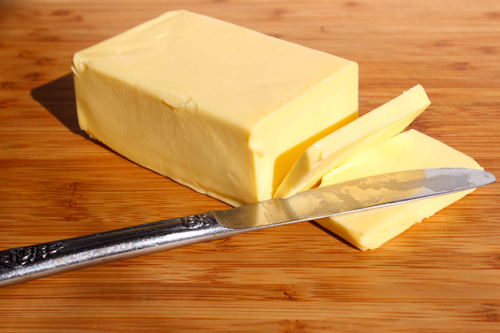 Pastured butter is an easy way to get vital nutrients from animal fats and it's delicious! The poor academic performance of so many American schoolchildren is a matter of great concern. Over the years, more and more money has been spent on schools. Many programs to enhance education have been introduced. Class sizes have been substantially reduced. Many teachers have aides to help them teach. A host of administrators, counselors, special educators, and other specialists have been hired. Despite recent cutbacks, the amount of real money per child spent today is much higher than it was during my schooldays, yet the academic results are far worse. It is clear that throwing more money to the schools will not fix the problem. We have been doing that for many years, and performance continues to decline. Money for education is important, but it is not enough. Academic performance continues to decline, and the U.S. is far behind many other countries, nearly all of whom spend far less money per child on education. Why? Whose fault is it? The teachers? The schoolchildren? The curriculum? The parents? My answer would be—none of the above. I am convinced that the real cause of poor academic performance is the Standard American Diet, known as SAD. The fact of the matter is that schoolchildren need proper nutrition for their brains to develop and function well, and many of them are not getting it. Traditional animal fats such as butter, lard, beef tallow, chicken skins, fatty fish, and others are the best source of omega-3 fatty acids. Omega-3 fatty acids are necessary for the brain to develop and function properly. It is that simple. Cholesterol is desperately needed by the brain to function properly. In fact, mother’s milk is higher in cholesterol than any other food. Nature recognizes the need of children for cholesterol, and so should we. Yes, cholesterol and animal fats have been demonized through massive marketing campaigns. The demonization is just not true. These vital nutrients promote good health, and are vital for survival. See The Skinny on Fats. The current emphasis on avoiding animal fats and cholesterol deprives children of the nutrients they need for their brains to develop properly and function. How can they possibly learn and do well in school when they are starved of the nutrients they need for their brains to function properly? How can they be expected to behave well when their brains are deprived of the very nutrients needed to keep them in balance? The effect of nutrition on the brain and learning is described by Sally Fallon Morell, president of the Weston A. Price Foundation, in this excellent article: Nutrition and Mental Development. Vegetable oils and factory fats lack cholesterol and lack omega-3 fatty acids. These oils and fats have a huge imbalance of omega-6 fatty acids that can cause inflammation and have other harmful effects. When you substitute vegetable oils and factory fats for animal fats, the children do not get the vital nutrients they need for their brains. It is that simple. This problem is especially bad for children who depend on the government for food. The government provides free formula to two million infants. Yet the only formula allowed in the program is made from GMO soy, which contains a number of toxins and none of the vital fatty acids needed by developing brains. The revised school lunch program only makes things worse, being virtually fat-free and severely restricting protein. It is a prescription for malnutrition and even poorer academic performance. It stands to reason that giving the children the very nutrients they are deprived of, the animal fats that are rich in omega-3 fatty acids and cholesterol are exactly what are needed. This has been done before, with great results. Last week, I wrote of the school lunch program devised by Dr. Weston A. Price, and the wonderful results it had for some poor children. These children ate an early form of SAD—factory bread and pancakes served with lots of sugar and syrup. They had terrible teeth, poor health, and did terribly in school. Some had severe behavior problems. Dr. Price fed them a lunch rich in animal fat and meat, including plenty of bone marrow and butter. Not only did their dental decay stop cold, but two of their teachers sought Dr. Price out to ask why a particular child, who had been the worst student in the class, had now become the best student. All that Dr. Price changed was the food they ate at one meal. The schools, parents, teachers, and children did not change. Good nutrition alone was all they needed to go from being complete academic failures to being the best student in the class. This is only one example. There have been many description of how feeding schoolchildren a diet rich in traditional foods during the nineteenth and early twentieth centuries greatly improved their academic performance and behavior in school. Many of the educators who worked with poor children made sure they arranged a good lunch for them as a vital pre-condition for their being able to learn. 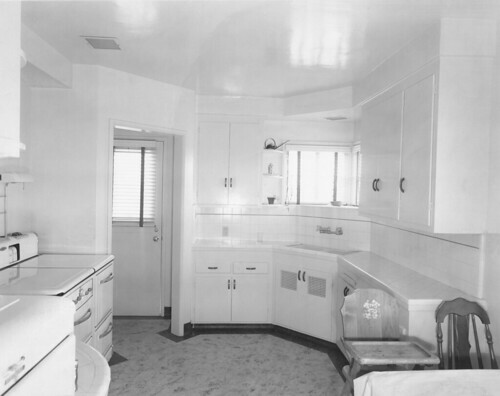 It should be mentioned that the healthy peoples studied by Dr. Price, all of whom had diets rich in animal fats and cholesterol, had no mental illness, and no problems in educating their children, who had to learn skills that were far harder to use and master than the easy-to-do tasks typical of modern life. The solution I suggest to fix U.S. schools is new, yet very old. Have an affordable school lunch program that will present students with foods rich in traditional fats such as butter, whole eggs, full-fat hormone-free milk, rich meats, bone marrow, and other animal foods that nourish the brain. Give them generous servings, and let them have seconds if they want to. Ban all GMOs, vegetable oils, and factory foods from the program. Give them real food only. If we do this, we can expect the same kind of vast improvement that was noted by Dr. Price, so many years ago. Yes, it will cost money, yet I submit that there is no better area to spend the money on. With proper nourishment, there is every reason to expect that children will be able to focus on school and learn. It has been done, time and time again. Clearly, the current system is not working. Real food is worth a try, and will have other benefits, such as good health and better behavior. It worked for Dr. Price and others, and it can work now.